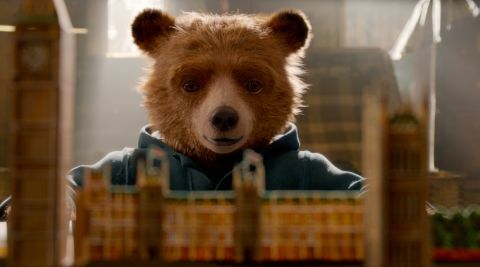 Paddington 2 review: "A feel good sequel only marmalade haters could resist"
State-of-the-art effects combine with playful, generous storytelling in a feelgood sequel only marmalade haters could resist. “If you’re kind and polite, the world will be right!” declares Paddington Bear in Paddington 2, the inevitable, and welcome, sequel to 2014’s box-office hit. The advice derives from our hero’s beloved Aunt Lucy, 99 years old yet still going strong back in deepest, darkest Peru. Yet her words of wisdom could almost stand as a mission statement for the film itself, which firmly sets out to be an even kinder and politer affair than its predecessor: a film that, for all its sweetness, still managed to spawn a “creepy Paddington” meme, while the BBFC forewarned consumers of its “dangerous behaviour, mild threat and innuendo”. That pic, you’ll recall, featured Nicole Kidman as a mad taxidermist out to have Paddington stuffed and mounted at the National History Museum. Its sequel, in contrast, opts for a more buffoonish bad guy – a washed-up actor, now reduced to dog food commercials, with costly plans to put on a career-salvaging one-man show. To do so, the pompous Phoenix Buchanan – played to the hilt by Hugh Grant, fresh from having his own career re-energised by Florence Foster Jenkins – needs a hidden fortune that can only be located with the help of a dusty old pop-up book from Mr Gruber’s antique shop. As chance would have it, this is the same tome Paddington wants to get his aunt for her 100th birthday, a coincidence that soon sets thespian and bear on a comic collision course. Before that, however, we get to see Paddington join the workforce, first by getting a job at a gentlemen’s barbers (it doesn’t go well), and then by finding gainful employment as a furry window cleaner. Those who embraced the first movie for its pro-immigration stance may be tempted to read these slapstick scenes as an endorsement of migrant labour, not least when Paddington cleans The Shard with a calypso band for accompaniment. On the whole, though, director Paul King and co-writer Simon Farnaby keep the Brexit politics understated, presenting metropolitan multiculturalism as a life-enriching boon and confining their opprobrium to Peter Capaldi’s rabid Little Englander: a character who, needless to say, could not be happier when his ursine nemesis is arrested, framed and sent away to the big house for “grand theft and grievous barberly harm”. The late Michael Bond never wrote a book called Paddington Goes to Jail. But had he done so, it might well have featured a prison chef every bit as fearsome as Brendan Gleeson’s Knuckles McGinty, a character so ill-tempered only the taste of freshly-made marmalade can calm him. In a film as episodic as it is enjoyable, it’s fair to say this Porridge-style interlude goes on rather too long. Yet it does give rise to a rollicking jail break that ensures Paddington is on board for the elaborate steam-train finale, one that finds an unusual use for toffee apples while permitting Sally Hawkins’s otherwise under-utilised Mrs Brown to play a vitally heroic role. Other moments of note include a towpath pursuit featuring a wolfhound and a goose, a lovely animated sequence involving familiar London landmarks and a flashback showing how Padds – voiced as decorously as ever by Skyfall’s Ben Whishaw – came to have an aunt in the first place. It all adds up to an engaging, rib-tickling and warm-hearted charmer that’s won us over long before Grant, hilarious game throughout, turns up at St Paul’s disguised as a nun.